Mod Podge Sheer Colours come in a variety of colours. There are many things we can do with the Sheer colours. It allows us to add transparent hues to glass and other surfaces. The finished products are wonderful to keep as home decor. Then turn the coated dish upside down and leave it to dry completely. Depending on how much paint you use, and the temperature and moisture inside your home it will take 6 hours to 2 days to dry. When the Mod Podge Sheer Colours dry it will become dark. This is adorable, I loved doing modge podge when I was a kid! Wow this looks so simple and so pretty love it.Great way to turn a disposable item into something lovely. What a great idea for a rainy day! What a great craft idea! I have never worked with modge podge before, but I love this idea and a great way for the kids to make some pretty nice Christmas gifts!! That's beautiful! Thanks for sharing this -- I never heard of mod podge. That is very cool looking!! 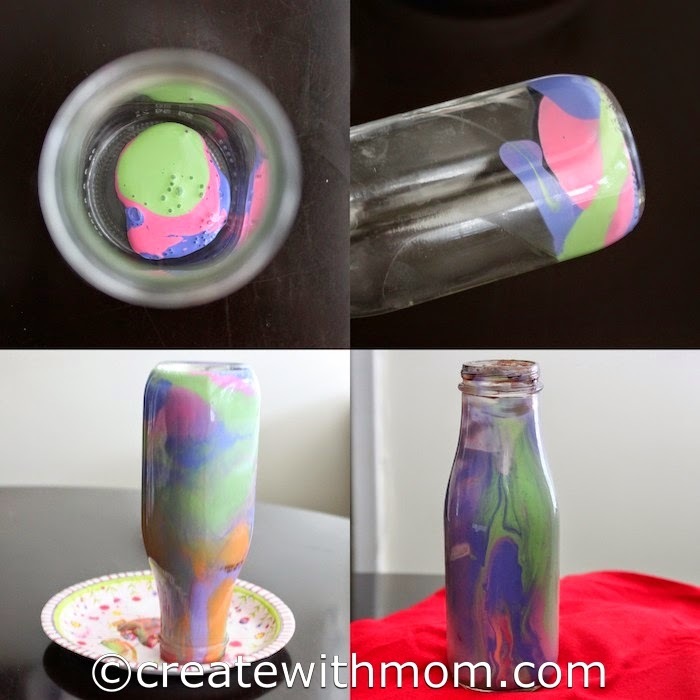 Great idea, love mod podge! It looks like a lot of fun. I have the white Mod Podge that I have used for a few crafts. Very colourful and i love the name mod podge! This is just so pretty.